Weaversmith offers a stand-alone design and sampling service for woven fabrics alongside the opportunity to have your fabric hand-woven in small quantities. 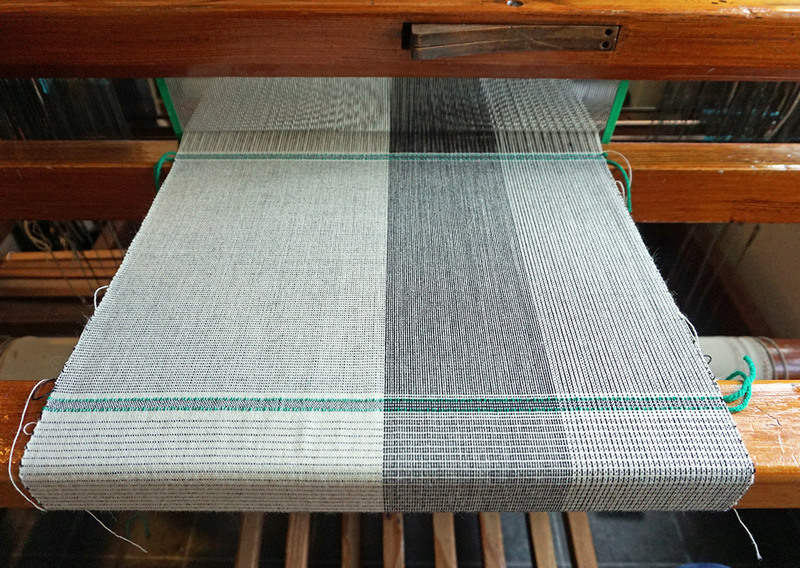 We can work with you to develop a new fabric on the hand-loom to your specifications. You will then be given a sample of the finished fabric along with the technical details, ready for mill development and production. We can hand-weave small batches of hand-finished or unfinished fabric up to 1m wide and 7m long. If you are interested in commissioning Weaversmith to hand-weave your fabric or design a new fabric to your specifications please fill in the form below. Do not worry if you are unsure of some of the entries, they are a starting place to give us an idea of the project ahead and if we will be able to do it. Do not worry if you are unsure of some of the entries, they are a starting place to give us an idea of the project ahead and if we will be able to do it.